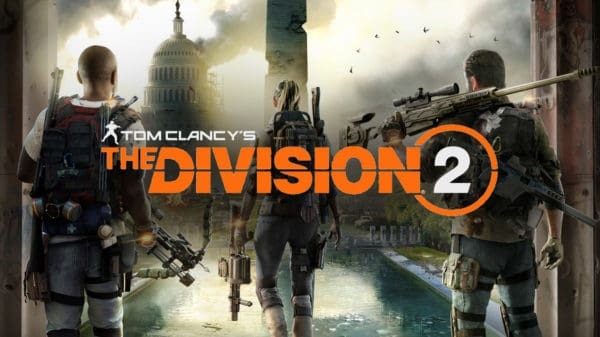 The Division 2 is an odd sequel. I can fully recognize it as having better gameplay mechanics than the first game. The core shooting is loads better, it’s easier to get into groups and some of the weirdness of the first game is gone. Sadly though, it’s also worse than the first game. Especially in terms of story, character progression, and uniqueness. Proving that sometimes a better made game doesn’t always equal enjoyment. 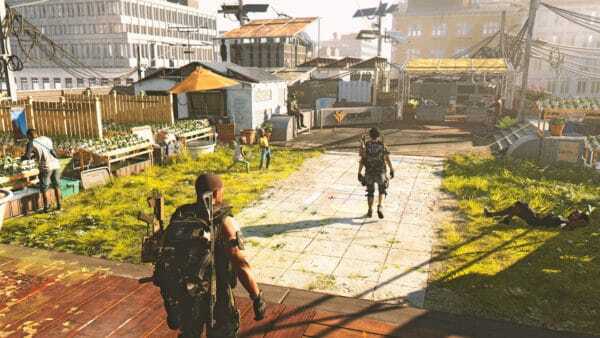 The Division 2 starts in an unnamed encampment. The base is attacked shortly after making your own new Division agent. Once you fend them off, you receive a Division signal in Washington D.C. asking you go there. You are quickly transported to the front of The White House and after dispatching some more baddies are introduced to the remnants of the DC Division squad and told to try and fix everything. 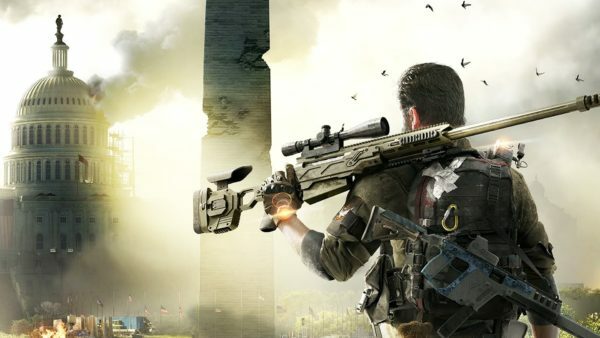 Unfortunately, The Division 2‘s story is not one of its greatest strengths. The first Division did not have a great story either, but it at least had a neat narrative hook and setting. Not to mention, some really great personality and atmospheric storytelling (cell phones, for example). Division 2 doesn’t have much of that. Sure, it still has the occasional cell phone for you to find or ECHO locations. However, they are few and far between. I voraciously hunted down every cell phone I could find in the first game, but not in Division 2. The major reason for that is because I just wasn’t as invested in the story as I was for Division 1. Plus, Division 2 has some terrible narrative sequences. There’s nothing truly horrendous in it, but the game does an awful job of guiding you to the next story beat or important area. I also had instances of the game unlocking a new area WELL outside my level and I’m not sure why. What’s the point in unlocking a level 28 story mission when I’m only level 9? Far and away the best part of The Division 2 is its actual gunplay. Shooting enemies is immediate and feels good. There are different types of gun classes in the game with shotguns, rifles, and submachine guns all feeling distinct from one another. Massive Entertainment also vastly streamlined the core shooting. There was an entire menu in Division 1 for consumable items, energy bars, soda, and canned food. That system no longer exists, and Division 2 is better for it. Skills have changed somewhat from Division 1 to 2. There are fewer skill types available, but more skills exist overall. The prior game did have skill mods but they were unlocked gradually. In Division 2, you can unlock a specific skill at the start of the game. For example, the turret skill. When you unlock it, you can pick the normal assault turret, incinerator, artillery or sniper turret with your first unlock point. Then, other variants are unlocked with the SHD tech points found as you play the game. This system gives you a lot more flexibility in what you want to unlock first or if there is a particular version of a skill that is better than the others. On the flip side, there are also passive skills you unlock. Passive skills become available as you level up, or through the use of SHD tech points for a faster unlock. Passive skills let you carry more medpacks, grenades, inventory space and the like. Most of these skills can be unlocked at the start but a few of them are needlessly locked behind a max-level requirement. One, in particular, is kind of vexing. When you level-up in the game you get a Field Proficiency Cache, which is a fancy term for a lootbox. One of the passive skills is a “50% chance for a bonus item to drop when opening a Field Proficiency Cache”, which hey, sounds great, right? The problem is, it only becomes available at level 30. So this means the previous 29 lootboxes you unlock don’t get this helpful upgrade. Once you hit level 30 is where the real game begins. This is also where you unlock specializations for your character. There are three types: Survivor, Sharpshooter, and Demolitionist. Survivor unlocks an explosive crossbow and can use traps to deal with enemies. Sharpshooter unlocks a sniper rifle for you. While also unlocking a mod for your active skill that targets all nearby enemies. Finally, the Demolitionist has you using a grenade launcher. Plus, you can also build an artillery turret for bombing around areas. Unlike with the first game, you can freely switch these specializations at will. The first game had a system where you had to really build out a wing of the base for you to get your master skill. These just unlock at level 30. The problem is, I don’t really like any of these specializations. I’m not a fan of the sniper (Sharpshooter) play style. The Survivor is fine, but still not fun, and the Demolitionist is alright but is just not my forte. There really isn’t a tank specialization, or a “run and gun” type of class, which is usually what I prefer. Having only three specializations feels somewhat limiting. It’s funny that I played this game so close to Anthem when both games have serious loot drop problems. Anthem’s problem is that the fun loot only drops when you are near max-level and everything you get beforehand is pointless. The Division 2’s problem is that I barely ever got any of the loot I actually wanted. It’s not that the loot system is bad, it just feels slightly weird in spots. You can unlock mods to use for your weapons and turrets which sounds nice but only half of them truly work. Usually, you unlock mods via a side mission, but once the blueprint is unlocked, you can craft a mod, and it attaches to any gun of the same type with unlimited supply. For skill mods, you can buy them or they occasionally drop from enemies. These might be cool but you need a certain skill number in order to use them. The game does an incredibly poor job of introducing you to the Armor/Health/Skill Power trifecta. Most mods I got required Skill Power I was woefully deficient at, or if I did try to gear my character that way, my health and armor would tank hard. My biggest problem with this game is how it forces you to play multiplayer to really get anywhere. I was able to play the Division 1 as a single-player character for a majority of my time and had a blast. I did do some multiplayer sessions with random people when I jacked up the difficulty (for more loot), but on the normal difficulty, it was manageable and fun. 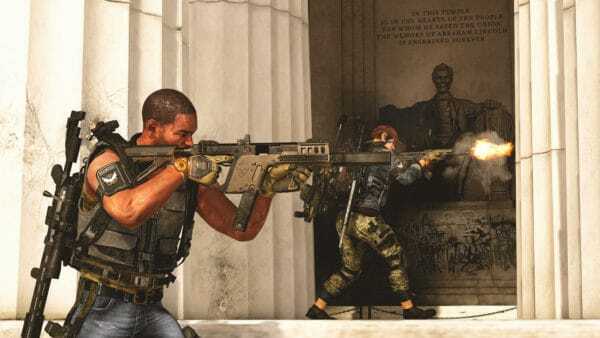 The Division 2 eschews this model and makes the game really annoying if you’re playing it by yourself. Most enemies are bullet-sponges (more so than the first game), with certain elite enemies being nigh-unkillable if you’re alone. Every encounter also just feels the same. You come up on a group of enemies and engage them. While killing them only brings in more reinforcements and you have to do it over again. This happens time after time in most missions and it makes the game feel like a real slog. At least when you’re with other people, the enemies go down quicker. Thus making me just want to avoid combat for the most part, which is something that feels wrong. One funny moment is when I cheesed an encounter because I could NOT do it alone. I had to climb a rope to go into a combat room, which was the end of a mission (complete with an elite enemy to boot). I had died twice already because the room spawned in a lot of low-level guys, along with a few Veteran (purple) enemies, before the elite (yellow) guy came out. There was also not a lot of good cover in the room to hide behind either. So to get through this area, I climbed into the room, threw out my turret and my drone, and let them lay waste to the normal enemies. Once the Veteran enemies came in, I went down the rope, while my turret and drone wore them down, until both equipment skills got destroyed. I waited for them to recharge (about a minute and a half), went up the rope again, found the enemies had de-spawned. I threw out the turret/drone again, the few enemies respawned and they mowed them down, including the elite that showed up in the end. It was a nice moment for me, but having to essentially break the game scripting by waiting for enemies to de-spawn/respawn seemed rather silly. A slightly new system in this game is Strongholds. Certain areas of the game have Strongholds (bigger bases) for you to do things. The idea is that you can upgrade the Strongholds, and as you do, they become better and more self-sufficient. The thing is, I don’t care about them. Mechanics for upgrading them are usually doing side missions or a series of annoying resource supply runs. These supply runs usually boil down to you needing to find SDH caches (easily doable) or supplying control points with resources, which become a total hassle. Also, you usually don’t have a lot of resources on hand, and having to find water or screws for some control point can get annoying quickly. The one tangible benefit to doing this stuff is unlocking a new crew member for your White House base. This seems somewhat story-mission related, but when you do enough stuff you unlock the Dark Zone agent. Doing more stuff unlocks the fire range agent, and so on. Honestly, I didn’t like the Dark Zone in the first game. I’m just not a fan of Player-Versus-Player stuff in general and it just seemed like this whole section of the map would be lawless for no good reason. Well, it returns here and my feelings remain the same. I did it a tad, just to do it, but I didn’t have a lot of fun with it. I just don’t like getting dropped by a gang of four people when I’m gamely trying to extract some gear and they roll up on me. Better odds exist with the semi-broken AI then against real players. If you got a group then great, you’ll have a blast, but for myself, I stayed far away from it. I’m not going to claim that the first Division was a fantastic game but it at least felt unique and it clicked for me. This game just doesn’t work for me at all. 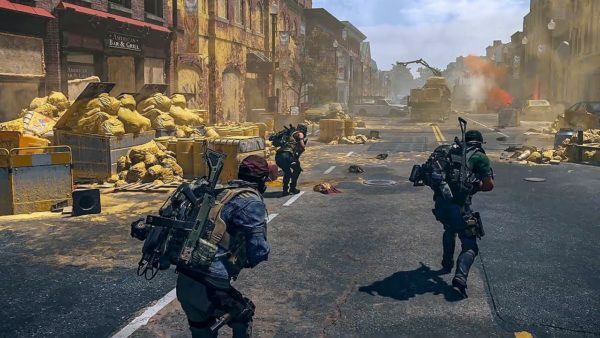 The Division 2 is certainly a better game on a purely mechanical level, but it feels rather soulless and boring. I should be itching to fight against enemies, not doing all I can to avoid combat because it’s so repetitive. 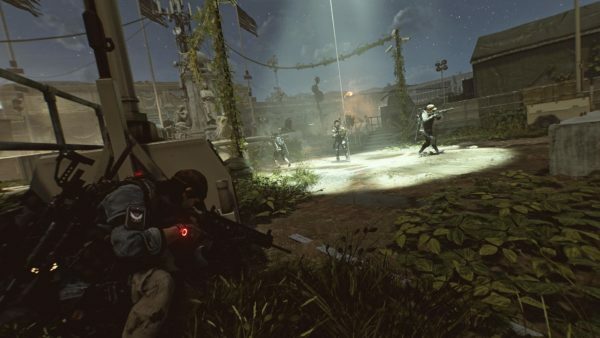 I still like parts of it, but mostly The Division 2 ends up as a bit of a letdown. In a group, this game is a blast and you will have a ton of fun.